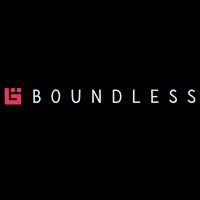 Boundless is a sandbox MMORPG developed by Wonderstruck Games. Boundless for PC and PS4 is a fantasy sandbox MMORPG developed by Wonderstruck Games, creators of The Marvellous Miss Take and Polycraft. Initially, the game was called Oort Online and was released in Early Access on PC in 2014. Some time later the devs began to work on the console version of the game and continued to support the PC version. Its name was changed to Boundless to once again raise the interest of the gaming community. In Boundless for PC and PS4 we will explore many diversified worlds connected with each other by a system of magical portals. The game offers a complete freedom in choosing what we want to do. We can become hunters, explorers, builders, merchants, warriors, and so on. The plot focuses on finding the artifacts left by the extinct Oort civilization to figure out what was the reason of their demise. During our adventures we will face the powerful Guardians faction and battle with the gigantic intelligent fortresses known as the Titans. All of the game’s worlds are generated prodecurally and every single one of them has a different climate, geography, resources, and fauna. Some of the creatures we will encontuer are defenceless, but some of them will try to hunt us down. Like many MMO games, Boundless offers a crafting system. The resources we have gathered can be used to create various objects, from small item to giant buildings. Boundless for PC and PS4 focuses heavily on its MMO aspect. The entire system of the interconnected realms makes up the game’s universe which changes under the influence and actions of the players. Players themselves control the game’s economy. We will find many coop missions while playing Boundless. Players can also create guilds that can focus on different tasks, like trade, exploration, or building. The ability to create our own worlds makes the game even more interesting. We decide about our creation’s climate, geography, or even the colour of sundown.